You're not the only one who may be feeling invigorated by this week's warmer temperatures. The thaw is expected to prompt maple sap to start flowing in earnest by this weekend. Maple syrup producers in Nova Scotia are gearing up for a busy weekend as the warmer weather is expected to get the season off to a sweet start. Sap started trickling out a little on Monday — enough just to clean the tubes that run from tree to tree. But producers say with above-zero temperatures anticipated for the next several days, they hope to start production in earnest by this weekend. "That should really wake the trees up and get us going," said Scott Whitelaw, co-owner of Sugar Moon Maple in Earltown, N.S. "The trees are pretty frozen. It's been a cold winter, so it's going to take a little bit of mild temperatures to get them going." Whitelaw said the winter has been long, with snow since the middle of November, but starting a sugar season in the middle of March is "quite traditional." "We're ready to take advantage of whatever the trees want to give us," he said. Success in the sugaring business depends more on spring temperatures than what the weather was like during the winter. 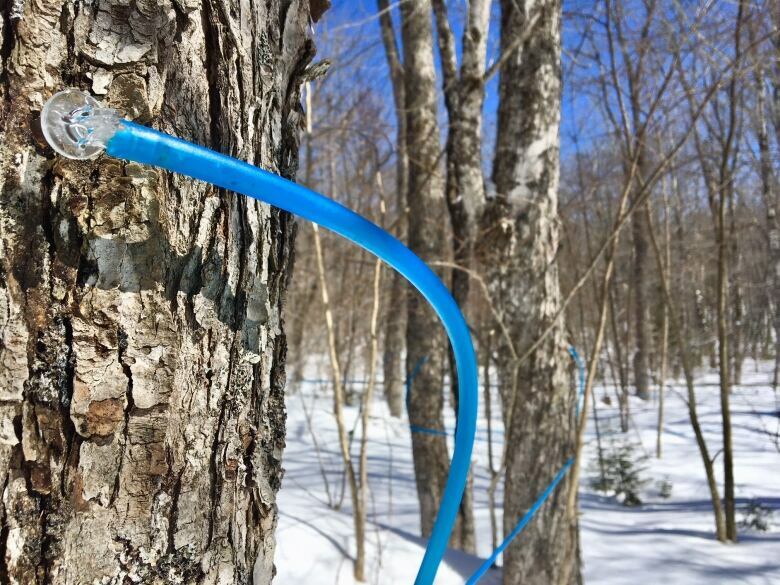 Maple syrup producers generally hope for spring temperatures that fluctuate around 0 C. When the temperature is below that, the sap goes to the tree's roots. When it rises above 0 C, pressure pushes the sap up and allows it to be collected. Bill Davison of Davison's Maple Syrup in Parrsboro said when he sees temperatures rise as high as the 11 C forecast for his area on Saturday, he starts to get a little worried. "There will be a good sap run and we better be ready for it," he said. "But I'd rather, like, plus three [degrees], you know what I'm saying? Slow it down," he said. Davison said when the temperature gets too high, the trees may start budding early and that affects the taste of the syrup. "Believe it or not, maple syrup tastes different each run of sap," he said. "What we do on our farm is we try to extract different tastes, just like a fine Bordeaux — different wineries in the Bordeaux region of France, you can go sample the different things — but this all happens on one farm in one year."